If you go to Texas, don't even try to get a consensus from the community there of where the best BBQ joint is. You'll get so many variations of suggestions that it will be overwhelming. 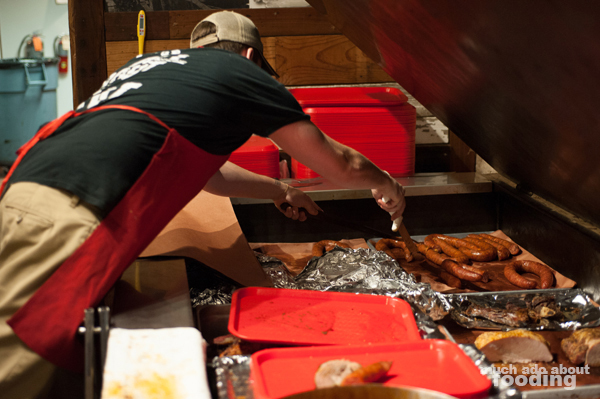 What you want to know before you go down that rabbit hole is the style of BBQ you like because America has a wide range of barbecuing styles that hit on whichever flavor profile you can think of and Texas loves its barbecue. 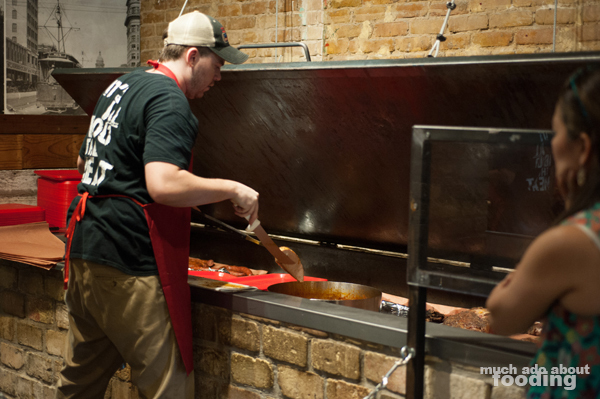 On our trip in Austin, we asked my cousin for his recommendations specifically based on our own preference for North Carolinian BBQ and its vinegar base. Immediately he pointed us in the direction of Cooper's, and we were quite glad we went! 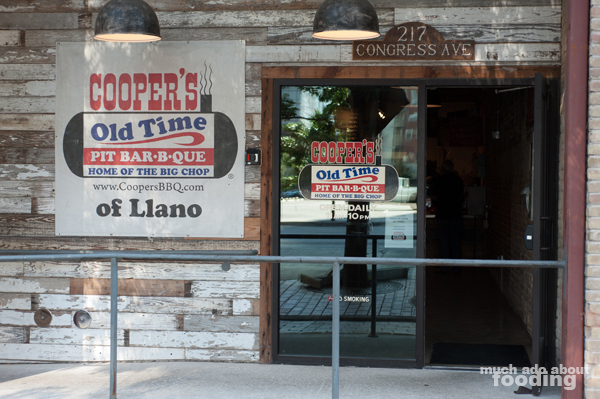 My first reaction when we walked up to Cooper's was that its designation of pit bar-b-que was a good sign. 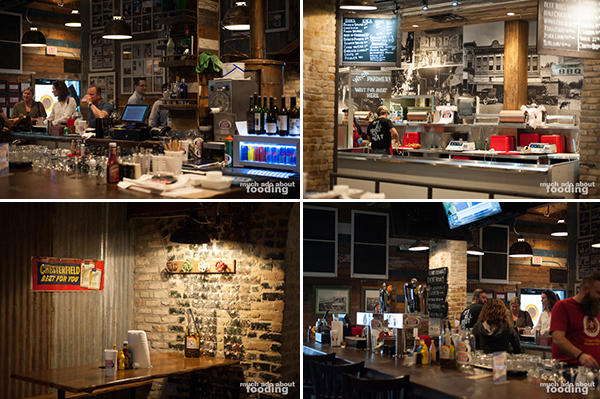 The interior design made us feel like we were outside already; dining areas featured long picnic benches with condiments on the table, and the walls were exposed brick with some accents of corrugated metal and rusty drain pipes. Getting ourselves some grub was straightforward. 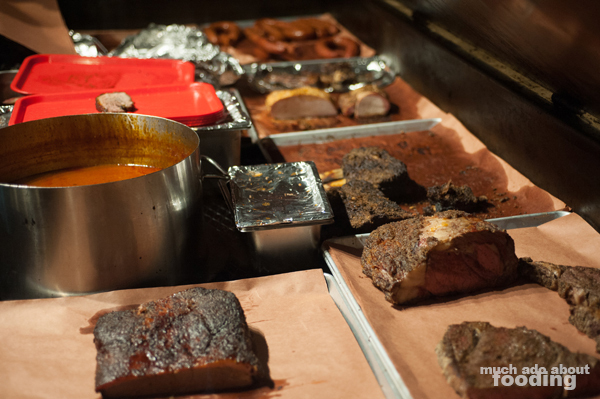 You are first drawn in by all of the meat available toward the front such as Beef Ribs, Chopped Beef, Brisket, Chicken, Sausage, Ribeye, Pork Chops, Pork Ribs, Prime Rib, and Turkey. Their carver slaps what you need onto a plastic cafeteria tray before moving onto the next guests, and your choices are dictated by meat type and weight. It was so tempting to ask for everything and indulge in meat galore but we saved ourselves a little bit, having seen all of the sides and cobblers available down the way. Ultimately, we ended up with a slab of their Brisket at $16.99/lb and some Hot Sausage at $11.49/lb for our main proteins. The best adjective to describe both of these meats as whole is juicy. The flavor was amazingly slow-cooked into the flesh and nuanced in both cases; neither needed the sauce that accompanied them. The slice of brisket was tender to the point of melting in my mouth and perfectly cooked. We accompanied our meal with containers of their creamy, indulgent Potato Salad ($3.00), heat-kicking Jalapeno Mac n Cheese ($3.50), and incredible foil-wrapped Grilled Corn ($2.50). 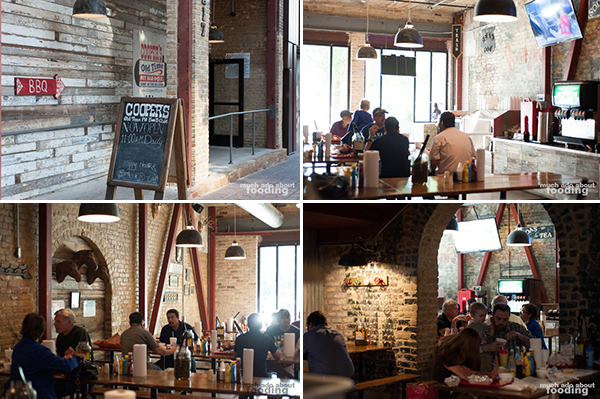 If you are a fan of pit bar-b-que and happen to be in Austin, I should think Cooper's should be on your list!